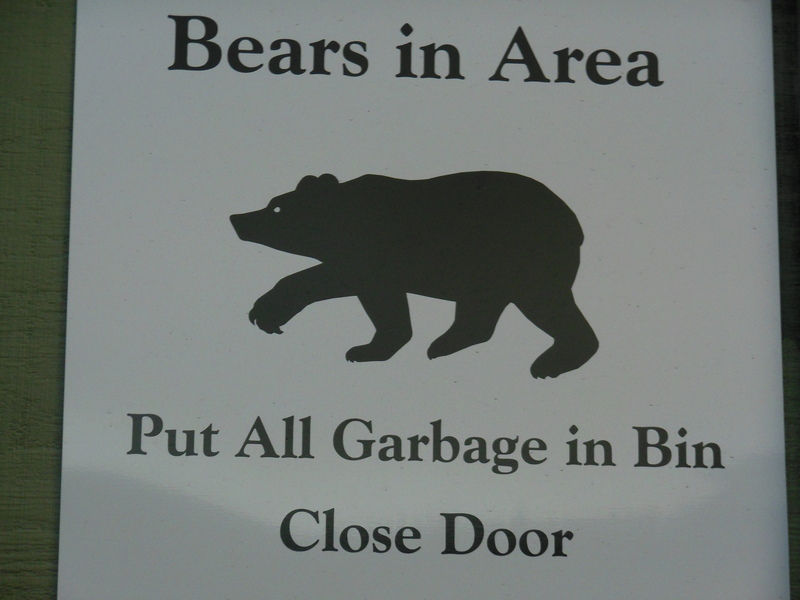 We were going to Colorado for the summer and I was worried about bears. I casually asked my mom if bears would bother us on our trip. She assured me that bears are scared of people and that they will keep their distance so I wasn’t too worried. However, in the first week we saw two bears! The first bear we saw was not as scary as I expected it to be. 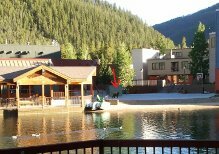 We were eating by the lake at Pizza on the Plaza when I saw him. He was far away and looked small- about 3 feet long. He was walking around looking for garbage. We decided to tell a local so that we knew what to do. It did not help at all. I told the waitress about the bear and she started losing control. She began closing all the side doors and saying “Oh no! He looks about two years old which means he is really aggressive!” After she said that I got kind of scared. But he left and no one got hurt (that I am aware of). At dinner we talked and I told my dad that if we saw another bear that I would run. He replied, “They can out run you.” So I said, “Then I would jump in the lake.” My dad told me, “They can swim.” I thought for a second and I answered, “I would climb a tree.” Dad laughed and said, “They can climb trees, too”. “Great!” I said, “I bet they can fly, too!” We all laughed and I forgot about the bear. I had forgotten all about the bear so a few days later my sister and I went outside to play. We called my mom to the balcony to show her a pine cone we had found and suddenly I saw a bear about 12 feet away. We started backing up and whispering “Bear! Bear! Bear!” My mom thought that we were joking, unfortunately we weren’t. I felt like the bear was laughing at us because we were so scared. The bear turned around slowly and ran off right before my mom came running outside with a broom and a camera. (Leave it to “Mamarazzi” to save the day.) We were really excited after that. It was an adrenaline rush and we wanted to see more. A fantastic story teller you are Keith!! You will need to publish a book about your year of adventures. I have camped my entire life and lived in a tent for 5 weeks when my daughter was just a tiny baby and never did I see a bear until 2 years ago outside Hot Springs Arkansas, just driving through the lovely hills and a little black bear ran across the road in front of us. I hope you continue to have happy endings to your bear stories. All wild animals can be dangerous if we scare them. I think they watch us and know if we are friendly or dangerous. I know you all are a friendly bunch, so I think the bears probably like you a lot!! Thank you for sharing you talent of writing. You are very god at it. I will look forward to your next story! !